IGNOU Admission 2018: Indira Gandhi National Open University has once again extended the last date for July session admission 2018. IGNOU was supposed to close the admission process for July session 2018 by today only. But at the very last moment, the University has decided to extend the last date for July session admission for the year 2018. 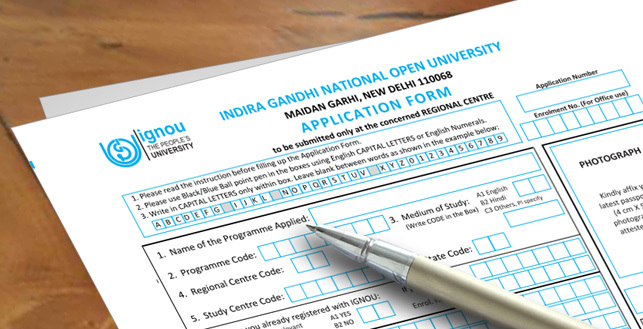 From diploma to a degree to PG Courses, candidates can now apply for the July admission in IGNOU till August 2018. Know the admission process and more details regarding the Indira Gandhi National Open University July session for the year 2018 below. Indira Gandhi National Open University has once again postponed the last date for July session 2018. Now the students planning to apply for the admission procedure in IGNOU can now apply till 16 August 2018. Although as per the first official notification, the last date for IGNOU’s July session was 15 July 2018 for Diploma. degree and PG Courses. Although before to the last date, IGNOU extended the last date for the admission purpose till 31st July 2018. Now once again the University has taken a decision to extend the admission date of July session till 16 August 2018. It seems the decision has been taken for the students to apply for the new courses launched by IGNOU. Although the candidates planning for the distance learning from Indira Gandhi National Open University can apply for the admission for July session now for the year 2018 for any degree, diploma or certificate courses. Students can just follow simple steps to do so, firstly one has to register themselves on the official website of IGNOU for online admission. Although if register earlier then login yourself using the id and password, after that apply for opted Degree or Diploma course at IGNOU. From 2018 onwards, IGNOU has introduced multiple new courses in many fields. Candidates can get the further information regarding the new courses on the official website of IGNOU i.e ignou.ac.in. Students are requested to keep a tap on the official website of Indira Gandhi National Open University regarding the updates of July admission 2018.